If you’ve ever suffered from heel pain you’ll know how uncomfortable it can be. In some cases heel pain can make going about your day-to-day activities difficult or impossible. Resting your feet can help but this may not be practical and using a pair of insoles for heel pain may make life easier. I spent many years working behind a bar and eight to 10-hour shifts took their toll on my feet and I developed heel spurs. Each night after my shift I would soak my feet to try and get some relief from the soreness and pain in my heels. A colleague suggested using insoles and after using them for a few weeks my feet were much more comfortable. Using a pair of insoles isn’t going to cure a severe problem with your heels but they may help you to manage the pain and discomfort. If you suspect you have a serious problem you should consult your doctor for medical advice. Cut to size for a custom fit. Who Needs to Use Insoles for Heel Pain? Anyone who’s suffering with heel pain can fit a pair of insoles to their footwear to reduce pain levels. The insoles can be used in dress shoes, trainers and boots so that your feet are more comfortable. Insoles are sold in all sizes and they can be used by men and women and there are smaller sizes for kids. If you play sports it’s also worth considering using a pair of insoles to protect your heels. Running or playing sports such as football and basketball puts a lot of stress on the heels which can lead to injury. Having a cushioned layer between your heels and sports footwear may reduce the risks of impact damage such as bruising. You can also use a pair of insoles to protect your feet which may help to prevent heel pain in the first place. If you spend a lot of time on your feet it can be beneficial to use some decent insoles. Prevention is always better than cure and if you can protect your feet you can reduce the risks of problems developing. How Do Insoles for Heel Pain Work? Insoles provide a soft cushioned layer between your feet and the inside of your footwear. The cushioning helps to relieve pressure that’s put on your heel to protect it and keep you comfortable. Cushioning and protection helps to minimize existing pain and it also helps to prevent impact damage. Most insoles have a cupped heel which stabilizes your heel to prevent it moving around in your footwear. The heel cup fits around the bottom and sides of the heel to support it. Keeping the heel in a stabilized position helps to reduce friction which could lead to blisters and sores. Many of the insoles also provide comfort and support for other parts of the foot. Insoles help to support the arch of the foot as well as the toes which can all help to prevent foot damage. Protecting the arch and toes also helps to keep the back of the foot and heel in a stable position. 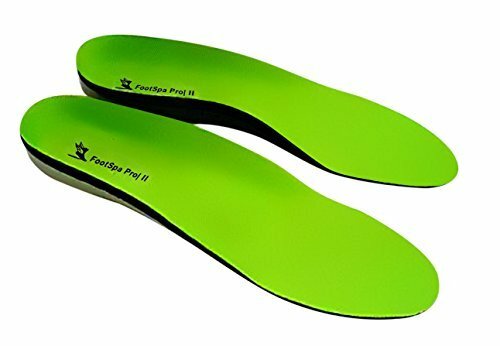 How Do I Choose Insoles for Heel Pain? It’s important that your insoles are the correct size so they fit inside your footwear. You should order a pair of insoles that match your shoe size and you should also check the width of the insoles. Some of the insoles can be cut to size which is useful if you’re uncertain about which size to buy. Look for a pair of insoles that have a cupped heel so you get maximum support and comfort. The cupped heel will help to keep your foot stabilized and in the correct position. You should also check that the heel area has adequate padding so that it doesn’t compress too much. Buy a pair of insoles that are breathable or a pair that soak up perspiration. When you have your footwear on for long periods your feet may sweat and the insoles need to cope with this. Keeping your feet cool and dry ensures that you’re more comfortable and is more hygenic. If you’re going to be wearing your footwear for long periods it’s useful to buy insoles that are easy to clean. Some insoles can be hand washed and others can be cleaned in the washing machine. If you do buy washable insoles it’s important to follow the washing instructions so that the insoles keep their shape. It’s also worth noting that you may have to use the insoles for a few days before they become comfortable. After this time period you should be able to break in the insoles and they’ll mold to your feet. Gel insoles will mold to the contours of your heel quicker than some of the foam insoles. Buy insoles that match your shoe size. Check the width of the insoles before buying. Buy insoles with a cupped heel. Choose insoles that are breathable. Use insoles that are easy to clean. What Are the Best Insoles for Heel Pain? We looked at a number of insoles that support the heel and provide some cushioning for the feet. The main points we looked at are quality, price, materials and the support provided by the insoles. We’ve reviewed five products and highlighted some pros and cons for each pair of insoles. The orthotic shoe inserts by NAZAROO are designed to alleviate heel pain and they also support the arch of the foot. The foam insoles are available in a range of sizes for both men and women and the fabric keeps the feet dry. The cupped heel area on the insoles cradles the heel to provide support and ease pain. People who purchased these insoles said they’re comfortable and their heel pain has been significantly reduced. Customers said that the insoles absorbed sweat which kept their feet cool and dry throughout the day. Customers were also impressed with the high quality of the insoles for the price paid. Other customers who used these insoles said that they‘re too rigid and they would’ve liked them to be more flexible. A few customers said that the top layer of foam came away from the insoles after a few days of use. 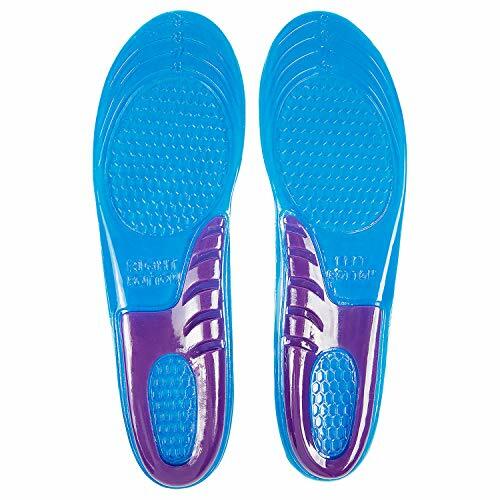 People also said that these insoles are too thick and bulky making them difficult to get into their footwear. These gel insoles made by Envelop provide relief from heel and arch pain and they provide cushioning for all areas of the feet. The honeycomb inserts are filled with a silicone gel which absorbs impacts whilst providing support. The insoles are available in two sizes and they can be trimmed for a customized fit. People who used these gel insoles said they’re comfortable and they support the heel to relieve pressure. Customers said that the thickness of the insoles was just right and they don’t compress throughout the day. Customers also like the fact that these insoles can be washed without losing their shape. Customers who purchased these insoles said that they moved around too much inside their footwear and they had to remove them. People commented that these insoles didn’t provide as much cushioning as the foam insoles they’d used in the past. Customers also reported that the trimming guide is inaccurate and they couldn’t get the correct fit. The full-length insoles from Superfeet are designed to reduce heel pain, arch pain and they can help with plantar fasciitis. The insoles are made from cross-linked polyethylene and are coated to eliminate odours. The insoles are available in a range of sizes and the deep heel cup provides adequate support and comfort. Customers who used these insoles said they’re effective for relieving their heel and foot pain. Customers said that the heel cup provides adequate support and cushioning for the heel. A number of people also said that the sizes were accurate and the insoles are well made and durable. Some customers who purchased these insoles said they’re too hard and can’t be used for long periods. A number of people said that the insoles make an annoying squeaking noise when they’re brand new. A few customers also reported that these insoles caused their toes to go numb after a few hours of use. May cause numbness in the toes. The FootSpa Pro orthotic insoles are designed to reduce heel and ankle pain as well as supporting flat feet and arches. The materials used to make the insoles provides cushioning and it also soaks up moisture to keep feet cool. The insoles are available in two sizes and they can be trimmed with scissors to get a custom fit. Customers who purchased these insoles said they relieved pressure on their heels and their pain had subsided. People said that the insoles are well made and they stay in shape after prolonged use. Customers also commented that these insoles are more comfortable than some of the more expensive products available. Some people who used these insoles said they push their toes up too high which is uncomfortable. A few customers reported that the plastic support inside the insole had broken after a few days. Customers also said the heel area was a little too narrow and it digs into the foot. The miracle custom molding insoles by PROFOOT are designed to support the heel and mold to the contours of the feet. The memory foam is soft and comfortable and it helps to cushion the feet. The lightweight insoles can be trimmed for a custom fit and they can be used in most types of footwear. Customers who purchased these insoles said they mold to the feet quickly and are comfortable in their footwear. Customers with heel spurs said the insoles helped with the pain and the condition of their feet has now improved. Users also liked the fact that the insoles are easy to clean by hand washing. Some people who purchased these insoles said they compress too much and tend to bunch up in their footwear. Customers said the insoles are too thin and don’t provide the support they’re looking for. Users also commented that the size lines on the insoles aren’t accurate and they were too small after trimming. All the insoles we reviewed can help to alleviate heel pain as well as supporting the feet. The insoles we looked are are all reasonable priced and well made. We looked at both foam and gel inserts that are available to fit most shoe sizes. 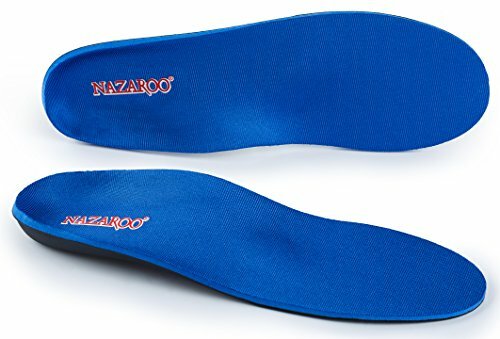 After reviewing all the products the best insoles for heel pain are the NAZAROO Orthotic Shoes Inserts. These insoles offer good value for money and they’re made with high-quality materials making them durable. The insoles help to reduce heel pain as well as supporting the heel and arch of the foot. 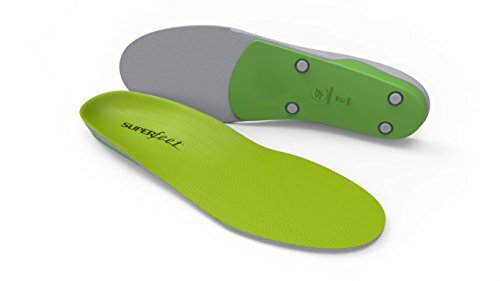 The insoles are comfortable to wear throughout the day and they keep the feet cool and dry.